Advertising is all about creating associations. People who see a clear message alongside your brand will connect the two in their mind even if they don’t consciously realize it. But this effect is a double-edged sword; if someone attaches their brand to a poorly made advertisement, it can really hurt their image. Of course, if an advertisement is so bad that it’s funny when people share it online. So these advertisements are either fails or successes depending on whether or not you believe that all publicity is good publicity. For any website, serving a user up a 404 error is an embarrassment. 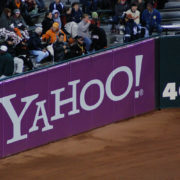 For one of the world’s largest search engines, producing a 404 should probably never happen, so the unfortunate number placement in this baseball stadium next to the Yahoo banner makes for funny advertising fail. Location always matters! If you’re having trouble reading this on a screen that’s standing still imagine trying to read it while you drive past at more than sixty miles per hour. This sign seems like a real traffic hazard. Even if you can read it the slogan “see your teeth as we do” doesn’t feel worth the effort required. 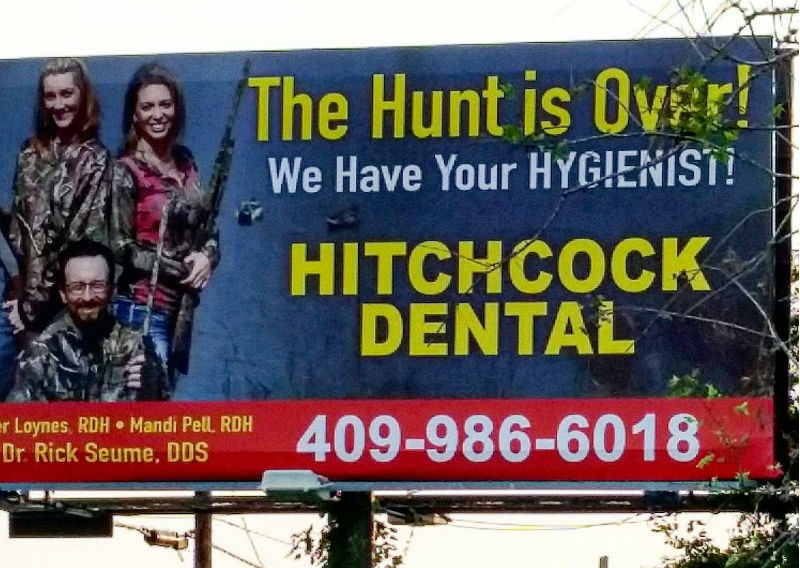 So I’m confused, are they holding my dental hygienist hostage? Listen, it’s great if you have hobbies and sometimes you can even work your favorite pastime into your ad campaign. But your job and your hobby need to align in some way for it to work. All this sign makes me think of is my teeth mounted on the wall beside some antlers. Even great designs can blow up in your face if the idea isn’t executed correctly. This ad must have looked great on the screen it was designed on but because the people putting the sign up didn’t put care into their work the whole impact was ruined. It just goes to show how important everyone, from the ad executive down to the person who actually has to physically put the ad up. 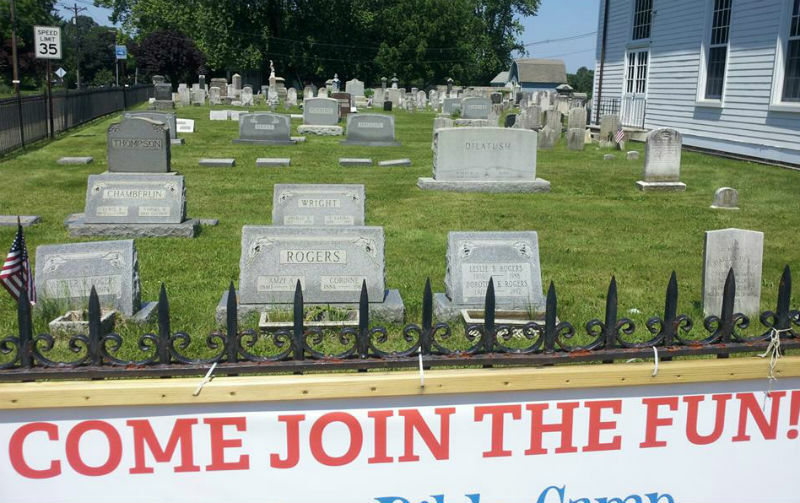 This sign placement is either incredibly unfortunate or ingenious. 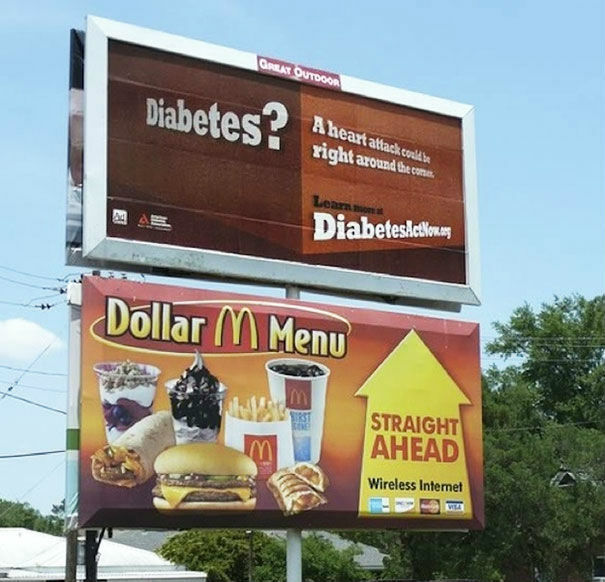 If the diabetes sign was there first, then McDonalds made a huge mistake. But if the McDonalds sign was the original sign then the people at the Ad Council found a great way to spread their message and make people question their unhealthy eating habits. Because of the way the picture was cropped we can’t tell what the full sign says. What we can say for sure is that this sign seems to be encouraging people to die, and that’s always going to be a bad advertising move. Mixing social issues and personal promotion always requires a tricky balancing act and the people behind this sign handled the challenge with the grace of a boozed-up bull in a china shop. 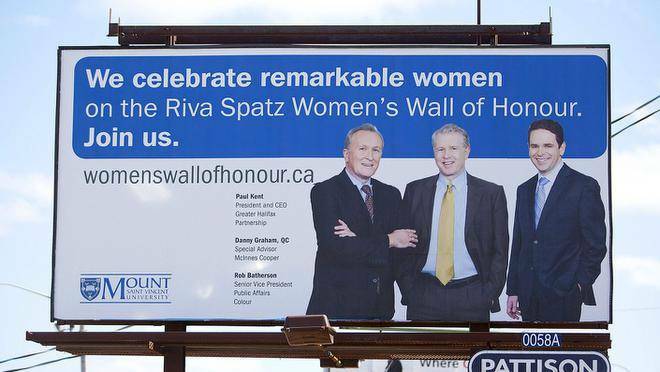 Honoring women is a worthy goal, but when that’s your goal you probably don’t want to make it look like your company doesn’t have any female leadership. On the topic of mixed messages, here we have another case of good intentions and poor execution. 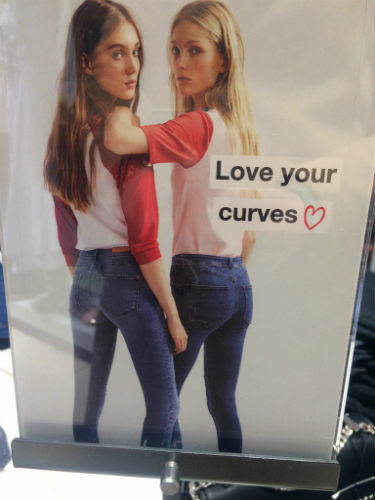 If you want to sell your product to women who identify as curvy, then you should probably hire some models who aren’t so skinny. This advertisement manages to feel pandering, tone deaf, and insulting all at once. In that way, it’s actually quite an accomplishment! Always triple check your font choice. Look at it yourself, show it to a friend, then show it to a stranger. If the designer behind this ad followed those steps, someone might have pointed out that the cursive I and S come together to look like a B, turning “island” into “bland.” It doesn’t help that the food in the picture ranges from black to brown to white. A little bit of garnish might wouldn’t have hurt. Just as technology has opened up new avenues for success, it has also created plenty of new chances for failure. In the old days, a billboard ad would never need to be rebooted. Then again, this might be a good advertisement if it was put up by one of Intel’s competitors as a way to paint their products as faulty. Last time I checked 1-800 numbers needs a few more numbers than this. What are the last three numbers? 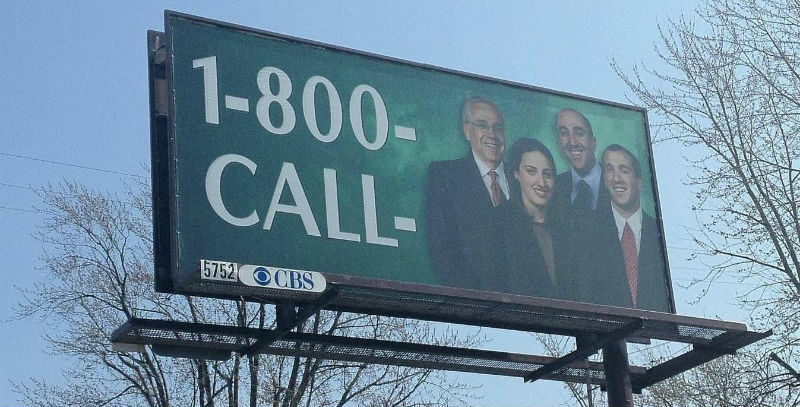 I know that CALL translates into 2255 but what three numbers do you get out of four generic looking lawyer types? Who thought this sign was complete? So many questions, so few answers. For more humorous advertisements check out our article on: Funny Signs and Billboards. How Does Facebook Spend its Advertising Budget? Billboards. Have you ever seen a billboard ad for Facebook and stopped to wonder why one of the top online advertising powers in the world invests its marketing dollars into outdoor advertising? Maybe not, but oh the irony. We personally think it’s pretty powerful that Facebook – an online marketing tool that stresses using its advertising tools to promote business – spends it’s own marketing dollars on a traditional form of marketing in billboards. One of the more noticeable Facebook billboard campaigns took place early last year across India. The campaign, entitled “Live What You Love” pushed groups, pages and events to Indian users in an effort to encourage them to join groups to find like-minded people. The ads aired on prime time tv, and across prominent billboards in Mumbai, New Delhi, and several other cities. Perhaps the better-known example of Facebook using TV, print ads and large billboards is the most recent campaign that began in March of last year around America. 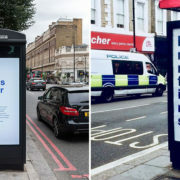 The sparse billboards and bus stop signs proclaimed “Spam is not your friends”, “false news is not your friends” and “clickbait is not your friends” along with a promise to change the way things appear in the newsfeed. This campaign was in response to bombshell revelations about how Russian bots used Facebook to disseminate false information, spam, and clickbait to influence the 2016 presidential election. Facebook then went on to launch a summer campaign in the European Union to advise users of their rights under the General Data Protection Regulation Act. Facebook’s efforts to reach its users not only on its own platform, but through traditional advertising methods like TV commercials, print ads and outdoor advertising on billboards, bus stops, subway signs and more underscore that the more things change, the more they stay the same. In fact, outdoor advertising and billboards are the only advertising industry that is seeing more forecasted growth. In 2018, outdoor marketing was expected to grow 2% to account for an $8 billion market. The fact that outdoor advertising is the only section of the market seeing profitability amongst a mix of other traditional advertising methods shows us that outdoor media, billboards and signage are still one of the most effective ways to reach consumers when not on a digital platform. However, there is a marked difference between the success of traditional billboards and of digital billboards. Digital options are proven to be more cost-effective, and the bright, eye-catching effects that allow for multiple ads to appear on a single billboard makes the display more profitable for agencies and billboard owners. Industries are taking notice of this, too. Across a span of 10 years (2013 forecasted to 2023) spending on traditional billboards remains flat at $6 billion total. However, digital billboard advertising climbs year over year. From $646 million spend in 2013, the market is expected to hit $2 billion in 2023. In the world of digital advertising and smartphones, some of the biggest streaming and service providers spend a huge amount of their marketing budget on strategic outdoor displays. In fact, even the iPhone has poured marketing funds and innovation into billboard strategy, with its iPhone X selfie campaign. Netflix also invests in billboards everywhere. The Outdoor Advertising Association of America estimates that for every dollar spent on an outdoor advertising ad, it delivers $5.97 in return on investment. With new developments in location data and tracking, this is only forecasted to grow. That’s because billboards are being fitted with tech and sensors to recognize when a person is nearby, or even analyze their smartphone data to specifically target passerby with curated content. Technology integration is revealing new advertising avenues every day, including computers analyzing data and statistics to decide when and where to place digital ads for the best impact. In addition, new surfaces for advertising are being explored, including stationary car and taxi windows, as well as interactive and targeted directories, bus stop signs, retail windows and more. The outdoor advertising industry shows no signs of slowing, and the future of the digital billboard is bright! http://billboards.bmediagroup.com/wp-content/uploads/2019/02/Facebook-Billboard.jpg 600 1200 Content http://billboards.bmediagroup.com/wp-content/uploads/2016/10/logo-1.png Content2019-02-26 18:15:022019-03-05 04:53:41How Does Facebook Spend its Advertising Budget? Billboards. 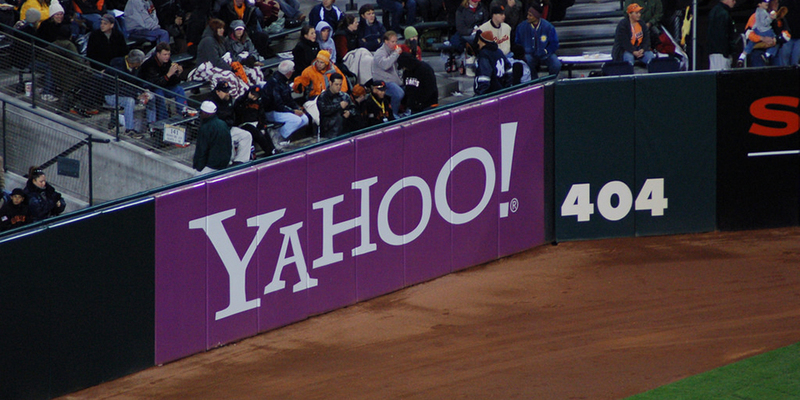 With the emergence of social media advertising and other digital techniques, some may consider that outdoor advertising is past its hay-day. But that misconception is largely unfounded. In fact, with the rise of the digital age, billboard marketing may even be more relevant and effective today. With ever-developing effects, such as digital screens, 3-D figures or different structures, the concept of the billboard and why it works remains the same. Companies should instead consider the billboard as a key method of advertising and a staple for across all industries. Anyway you look at it, billboard advertising works, and its effectiveness has proven itself for decades. Here are some of the top reasons why billboards are an important marketing tool. Over time, countries all over the world have become more mobile. People spend less time at home. Whether enjoying a road trip or travel, commuting to work or simply seeking a new experience, the citizens of the globe are on the move. All that time in cars ads up, and advertisements placed roadside where travelers and commuters can see them are sure to be noticed. Drivers eyes on the road, their eyes are also on the large, visually appealing billboards by the roadside. It has always been true that drivers are a captive audience, and is becoming even more true with harsh legislation banning texting and driving and driving while distracted rolling out every year. While drivers can turn down the radio or subscribe to a completely ad-free channel, they jeopardize their very safety by taking their eyes off the road. With little else to safely distract them, chances are they will spend a few moments peering at that billboard. And, unlike other advertising mediums, outdoor ads cannot be turned off, hidden or thrown away. 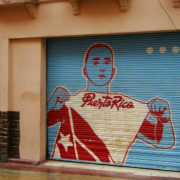 An effective billboard for a restaurant, attraction or even unique shop can generate instant sales for travelers who are looking to explore a new area. With a growing culture of exploring off-the-beaten-path and seeking unique experiences, a well-placed billboard that provides directions to an unusual spot can generate instant sales. This makes a billboard a surprisingly cost-effect method of advertising, as well. Although the original billboard itself can be pretty costly to design and erect, if placed effectively it will more than make back its’ cost in sales. 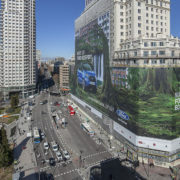 Advancements in billboard technology have also added a new dimension to billboard advertising effectiveness, with the ability to display multiple ads throughout the day. High brand awareness lies in repetition and exposure. While a tried-and-true marketing strategy, doing so is only expensive but also increasingly difficult to get noticed. Billboard advertising is the only marketing media where the advertiser has full control of the ad space. The ad has constant exposure – no other media allows your message to be displayed 24 hours a day, 7 days a week. It’s is a powerful marketing tool. If what audiences see in your billboard makes them laugh, inspires them, reminds them of a positive memory or any other avenue of emotional connection…you’ve probably secured a loyal customer. Let’s face it, today’s consumers are constantly barraged with advertisements in print, online, over the radio, commercials on television and even on social media. With a constant stream of sellers courting each consumer, a very particular method of selection based on emotional connection has emerged. Think about it: if an advertisement can charm you or make you laugh in the few seconds it takes to view it, don’t you think more positively about that company? The same concept applies to billboards, and works here better than many other advertising avenues. You have a captive audience guaranteed to glance over your billboard for at least a few seconds. Billboard marketing is big, bold, colorful and creative. With all the technological advancements and swirls of advertisers globally, companies are encouraged to top one another in creativity and thinking outside the box. Consumers have come to expect this and celebrate it. For example, Chick-Fil-A is just another fast-food sandwich stop, isn’t it? Wrong. Chick-Fil-A is a globally recognized brand for a myriad of reasons, including their top-notch customer service, good works and their famous billboards. The second you glimpse a familiar black and white billboard in the distance with hand-painted splashes of red, you know what you’re looking at. That’s even before you see the 3D cows posed in a variety of amusing positions, or the humble red Chick-Fil-A logo. The cows “vandalizing” the billboard have become an expected and creative part of their advertising strategy, and to look at their earnings, we think its’ working. So if you are looking to stand out from the crowd, reach people faster and more effectively, consider billboard marketing in your arsenal. Contact bMedia to learn more. Outdoor advertising isn’t a new marketing method. In fact, it’s been around since ancient times. The earliest outdoor advertising methods were chiseled on monuments in ancient cultures- including in Ancient Egypt! Hieroglyphics have been found describing laws of the country. Travelers were meant to stop and learn the rules of the civilization before entering. In this way, it can be described as an early form of outdoor advertising. However, actual billboards as we know them didn’t evolve for many more centuries. Let’s take a look at a brief history of the evolution of outdoor advertising and where the industry is headed today. Many people have heard of the famous Gutenberg press. Johannes Gutenberg invented the movable type printing in 1450. He was most likely influenced by primitive examples from China, Japan, and Korea. These traveled by traders along the Silk Road to Europe cultures. His inspired invention, the Gutenberg Press, rang in modern forms of advertising as we recognize them today! In particular, handbills became very popular. Handbills, which were exactly what they sound like, were leaflets with advertising information handed out. They can be likened to early versions of newsletters! In 1796, the first major form of outdoor advertising emerged- the illustrated poster. Using lithography, companies could create large numbers of posters for advertisement to be hung in storefronts, store windows, and even street corners. Primitive versions of billboards have been in use for centuries. The most common example would be posted by trails to notify travelers of an inn ahead. Travelers on foot, horseback or being pulled in a carriage would learn how far the inn was ahead, as well as what they had to offer in the way of amenities. Posted signs along the roadside served the purpose to aid travelers to find food and shelter rather than advertising many types of goods that are found today. Widespread advertising using billboards didn’t become popular until the invention of the car. As automobiles were created and boomed, pioneering marketers realized that there was a prime opportunity to use long stretches of road to advertise products. After all, automobiles encouraged travel and mobility. This, in turn, created a need to inform travelers of what they could expect from landmarks, attractions, and hospitality on the road ahead. Advertisements lauding local sights, national parks, and curiosities sprang up just before towns in an attempt to encourage travelers to stop and spend their money in town. Restaurants and hotels quickly followed suit, creating a real demand for enticing designs that drew travelers into a town. Billboards and outdoor advertisements had to grow larger and larger over the years for an interesting reason. As motor vehicles evolved and gained speed, advertisers needed to make their billboards bigger in order to be seen from further away! If advertisers didn’t make their billboards big enough, the motorist would zoom past their sign without being able to read it! However, bigger didn’t mean better to everyone – in particular, the United States Government. In the 1960’s, President Lyndon B. Johnson introduced the Highway Beautification Act, which prevented billboards from overtaking America’s roadways. This legislation was passed in an effort to check outdoor advertising companies from blocking America’s scenic landscape with various advertising. Prior to digital technology, meticulously handpainted billboards were the norm. However, beginning in the 1990s, computer-painted and printed materials became standard. More recently in the first decade of the 2000s, LED lighted and completely digital billboards have become popular. Technology has allowed smart sensor billboards or even billboards that scroll through several images in a minute. As the industry continues to evolve, more unique effects can be expected in outdoor advertising. 3D elements and visually engaging details have emerged. For example, the famous cows on the Chik-Fil-A signs that “graffiti” billboards to plead consumers to “eat more chikin.” The sides of buildings and skyscrapers are cleverly used for enormous posters and advertisements (such as the now iconic Times Square!) Full vehicle wraps have placed outdoor advertising on the sides of buses, cars, and even planes. 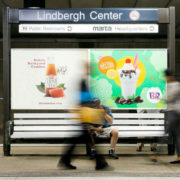 Smart sensor technologies and facial recognition technologies have created bus stop advertisements that interact with viewers. From games to targeted advertisements with videos and audio, outdoor advertisements have evolved to capture consumer attention in a multitude of different types of digital billboards. It seems that every day, new innovations and methods for advertising outdoors occur. Driven on by market competition, development of new capabilities and polishing of existing processes makes the sky the limit with outdoor advertising. Have you ever wondered which state has the most billboards? A recent statistics report counts 341.61 thousand billboards in the United States between local, state roads and highways. The federal government tracks the number of billboards through each state. This is part of the Highway Beautification Act (HBA) of 1965. 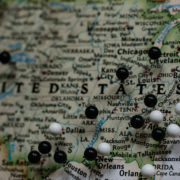 Each state reports their outdoor advertising statistics differently. Oftentimes different legislation at a state level impacts the number and concentration of billboards. One thing is for sure- there are four states that will never make it onto this list! That’s because Hawaii, Alaska, Maine, and Vermont have banned billboards. This is because of their fame as a scenic landscape, where billboards might interrupt the natural beauty and affect tourism. In contrast, the southeast corner of America has a high concentration of billboards. This encompasses Florida, Georgia, Mississipi and Alabama to name a few. One of these states holds the most– read on to find out which state has the most billboards in 2018. Florida leads the pack with a whopping 11,109 active permits on file for billboards throughout the entire state. Orange County, Florida comes in first with 801 billboards in the county alone. Outfront Media leads the pack on 3,532 billboards in the state, with Clear Channel Outdoor coming in second -946. The state has several lobby groups and organizations to promote the interests of the outdoor advertising world in Florida, including the FOAA, or the Florida Outdoor Advertising Association. Peaches aren’t the only thing that plentiful in Georgia! Georgia is just behind Florida with 9,871 billboards throughout the state. Bartow County, which is just northwest of Atlanta holds a few hundred of these billboards alone. Generally, Georgia city centers and long stretches of interstate highways make up for a bulk of the nearly 10,000 outdoor advertising elements in the state. Travelers going west to Alabama, east to South Carolina, north to Tennessee or south to Georgia are sure to see a few hundred on their way. Surprisingly, California only holds just over 8,700 billboards. This may seem like a lot until you consider how much land mass California has as it takes up a huge percentage of the West Coast! This number means the billboards are more evenly distributed throughout the state, with respect to the natural beauty of the coast, national parks, mountains, and valleys. This is in contrast to several other states on this list that are packed full of billboards! For being such as small state, New Jersey has an impressive amount of billboard permits on file. In fact, New Jersey is just behind California with over 8500 between all its counties. Clear Channel holds the bulk of billboards in the area. If you consider the long and winding byways of California condensed into smaller New Jersey, it’s hard to imagine moving more than a few feet without seeing a billboard. Largely considered a travel-through state, it only makes sense that Missouri had nearly 2,100 billboards. These billboard permits on file on controlled routes are as of January 2018. St. Joseph has one of the highest concentrations of billboards in the northwest corner. The same goes for Kansas City to the west, St. Louis area to the est, and around Springfield and Columbia city centers. This catches the attention of motorists crossing state lines on road trips and alerts them about what Missouri has to offer. Utah has recently passed billboard-friendly legislation that makes this is a prime location for billboards all over the state. As a result, billboards have begun flooding the main routes through the state. The highest concentration is along the I-15N that runs from Las Vegas to Salt Lake City, with a large majority just inside the “corner” of Utah from Nevada and another thick concentration by SLC. The I-70W also sees a bulk of the over 1,660 billboards that hold a permit with UDOT. This number is forecasted to climb, and by this time next year it’s entirely possible that Utah will climb higher on this list. http://billboards.bmediagroup.com/wp-content/uploads/2018/10/Which-State-Has-the-Most-Billboards.jpg 600 1200 AdminBMedia http://billboards.bmediagroup.com/wp-content/uploads/2016/10/logo-1.png AdminBMedia2018-10-29 18:19:252018-10-29 18:27:04Which State Has the Most Billboards? The most effective and successful restaurant billboards contain striking images, plays on words and humor, or details that make onlookers do a double-take. With a clever and out-of-the-box billboard design, people are sure to take notice and flock to your restaurant. Here are some of our favorite designs to help generate some restaurant billboard ideas. As part of an intricate advertising campaign from Outfront Studios, Baskin Robbins structured billboards, posters and even web landing pages themed after “some things go better together.” The agency created a fictitious company called Bobo’s Fish Juice that featured some eyebrow-raising flavor combinations. These faux-healthy advertisements were then placed side by side with delicious images of Baskin Robbins shakes. Though Baskin Robbins is in no way healthy, the advertising campaign managed to make healthy ingredients look less desirable using an artful compare and contrast. Color schemes, images and even tone are a subtle way to compare and contrast products to highlight your Restaurant. McDonald’s created an ambitious campaign to promote the quality and freshness of its salads. The hamburger chain planted thousands of heads of lettuce on a billboard made of soil. Over three weeks, the bare billboard sprouted full blooms of fresh green lettuce spelling out “FRESH SALADS.” The innovative advertisement boosted sales by 30%, and 500,000 salads sold during the campaign period. McDonalds also ran similar campaigns with a carrot bus stop advertisement, and a giant hatching egg outside another store location. This was a great example of creating hype around a specific dish or ingredient by highlighting it. This restaurant billboard idea for a seafood restaurant caught a lot of eyes. The actual advertisement is comprised of two parts: The billboard in the background, and the plastic fish emerging from the top of the actual restaurant building. From this angle, both elements of the advertisement look like they are all one piece. However, the billboard is a few yards away behind the building that the fish rests on. This billboard uses perspective and optical illusion to make the fisherman on the billboard look like he’s reeling in an extremely large fish. This is an interesting way to capture and keep attention of viewers, as the fish and fisherman will appear to move depending on where the viewer approaches from. This upscale restaurant in downtown Toronto participated in the annual Winterlicious event by offering a special prix fixe meal. Though many restaurants in the area participate in the event, Far Niente took it one step further. The concept art is simple, depicting salt, flour and cheese being sprinkled against a black space. 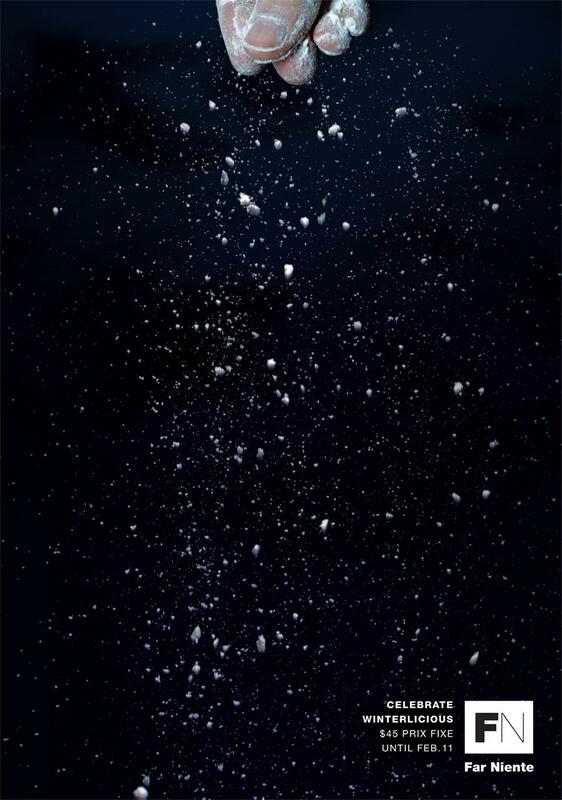 However, the simple images use restaurant ingredients to invoke the image of snow falling on a winters night. This ties directly into the event it is participating in. This ad run shows us a creative way to incorporate local events in restaurant advertisements, and how seasonal advertisement can be impactful. MidiCi pizza used a three-dimensional cutout to make the shape of an otherwise typical billboard irregular and eye catching. The plate seems to hang off of the billboard. Furthermore, the bold green and red tones of the pizza advertised pops against the otherwise pristine white plate and background. The use of three-dimensional cutouts and color is an easy way to showcase specific products or dishes in your restaurant billboards. Chipotle ran this billboard advertisement that also invites another look. Onlookers immediately see the target message in bold black text : our ingredients are better. However, a second look reveals another message about locally sourced natural ingredients, and even includes a dose of humor. This artful use of contrast text and a message-within-a-message is deceptively simple, but Chipotle has accomplished not one but two important marketing messages about its ingredients in just a few seconds. Consider playing with bold contrast to deliver two messages for the price of one in your own restaurant billboard. Not all billboards are created equal. The market and the audience of certain billboards must be taken into careful consideration in order to maximize their effectiveness. Because of this, billboards around the world are designed in different ways and seek to capture different audiences. We’ve compiled some examples of different successful billboards across the world and how they attempt to reach out to their respective audiences. Perhaps the most interesting aspect of this billboard is that it technically isn’t a billboard. Sure, it has the frame and structure of a successful billboard- but it’s missing the actual content of a billboard. Of course, the position and intended viewing angle of the board attempts to turn Mt. Fuji- as in the actual Mt. Fuji itself, not a drawing or a recreation of it, into the content. Given the cultural significance and sheer recognition of Mt. Fuji to its target audience, the effect is substantial. Mobile devices and social media are huge in Asia. Whether it be a mobile game, the hottest new trending app, or just chatting with friends- the smartphone is a gateway into a world of almost endless entertainment. This company created a billboard which allows mall goers to record themselves on a nearby mobile phone installation and have their clip appear on the ad. This manages to make physical advertising media relevant to the many enthusiastic smartphone users in Manila. How many times have you interacted with a person, only to see that have them pull out their phone and noticed that it was broken or that the glass was “spidered”? Usually this is pretty noticeable and just as disconcerting. By replicating this effect on the billboard, it catches the viewer’s attention and reminds them of their broken phone screen if they have one. This one is interesting as the viewer has to see this billboard multiple times at different points in the day to get the full effect. Basically the awning on top of this billboard is supposed to cast a shadow- the shadow that is cast will change depending on the sun’s relation to the billboard. As the sun moves throughout the day the shadow will change in accordance, making it seem as if the water line on the board is moving upwards. Given that Denmark exists next to the Atlantic, rising ocean levels actually do affect them as they change the shoreline of the country. Anyone who has spent long enough time on Facebook has probably seen a video snippet of Adam Ruins Everything, a new series dedicated towards dispelling half-truths and common misconceptions. While one can imagine that such an “in your face” ad might not be incredibly popular with all Americans, there’s no doubt that it’s effective in attracting the attention of its home audience. Obesity is currently an issue which many Americans are confronted with. The US has some of the highest obesity rates across all countries. This ad is very relevant for its home market and does its best to grab the attention of obese Americans who are looking to slim down. The city of Lima located in Peru was estimated to have the highest pollution levels in all of South America back in 2012. This billboard was created in response- a billboard which actually takes the surrounding polluted air and purifies it, spitting back out fresh air. Since this billboard has gone up, the city has experienced a 50% reduction in pollution. As one can imagine, it was incredibly well received by it’s target audience due to the fact that it actively improved their lives. Who said billboards needed to be roadside? These billboards can be found either on the beachside, or out in the water themselves. 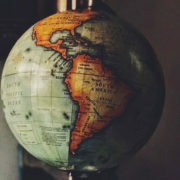 Given that South America is known for its fair share of beautiful beaches, it only makes sense to play up to the region’s natural strengths and advertise in popular beach spots. If you have enough money and the inclination to buy a Porsche, you probably feel good about the purchase and enjoy it when other people notice your car. The Porsche company itself understands this and put up an ad in Melbourne that can tell when a Porsche is approaching. The ad calls out Porsche drivers and compliments them on their car, making them feel good and adding a little bit of additional value to their purchase. Finding the right person for the job can be tough, especially when the person you need has to have an incredibly specific and obscure skillset. This billboard put up in Perth might not be the fanciest, but is still entertaining and effective. The imagery gives off sentiment that would feel at home in a “Monty Python” skit, appealing to the sensibilities and humor of Australians. It’s true, grammar mistakes can happen anytime. Unfortunately, that includes when creating billboards and advertisements, too! Here are our favorite examples of marketing messages with mistakes that made it past the editors. Next time you’re thinking of skipping the proofreading process, remember these hilarious examples of grammar mistakes in advertising. It might pay to take a look at your work just one more time! Oops. We love an ice-cold Miller as much as the next person, but we can’t get behind this confusing billboard. We’re just curious how this simple phrase made it through the editing process all the way to a billboard without anyone noticing the misspelling of contradiction. 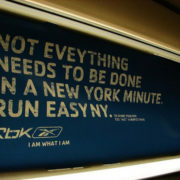 This Reebok ad on the subway is a great reminder of why it pays to take your time. The copywriter missed an E in “everything”. It certainly highlights everything that’s wrong with rushing! This isn’t the worst typo we’ve ever seen, but it’s embarrassing for the company. Not to mention the cost of replacing these ads when they catch wind of the mistake! One of the biggest problems with roadside business billboards like this is the lack of space… and spacing. It’s clear that this Days Inn board meant to commemorate Veterans. However, without a space in between the two lines, it seems like they’re commemorating hot breakfast servers. Hey, hot breakfast is pretty important, so maybe they have a point. Perhaps even more embarrassing than a big company letting a typo slip through in their signage is a college! Cincinnati State College put up this billboard not realizing that an extra N had snuck into “technician.” Being a place of higher education, we’re sure they didn’t hear the end of it for quite a while. While not a billboard, this car decal certainly gave us pause. We’re not sure who would print such an error-filled message or if the driver came up with it themselves. The incorrect form of but is in use here. Plus, the sentence should read “you’re abusing that privilege.” The irony speaks for itself. Another case of no punctuation gave drivers a laugh on this roadside billboard. The signage of a popular food chain probably meant that Spongebob toys were finally at the location, and they were hiring managers. Unfortunately, these two different messages got combined. While amusing, this tends to look poorly on the business and would probably make quality manager candidates think twice. Plus, is Spongebob even qualified to hire managers? This cautionary sign is designed to warn hunters that pedestrians use nearby trails. However, without the necessary grammar and punctuation, it seems to reference hunting the pedestrians themselves! While the sign may give you a good giggle, consider what a costly and dangerous mistake this could turn out to be. Please note that it is illegal to hunt pedestrians. This is a fairly harmless grammatical error compared to some of the others on this list. The problem with this sign is that we’re pretty sure this is a sports bar, not a bar belonging to Sport. There’s no need for the apostrophe. We wonder if anyone came in asking to talk to Sport recently? This is the worst example of careless spelling and advertising mistakes we’ve seen. By leaving off the letter G, this hamburger special turned into a hamburger horror! This image from a popular American fast-food chain went viral, although we’re sure they fixed it pretty quickly. That’s just another reminder that proofreading your work is incredibly important. In the age of viral images and video, a mistake like this could bring you an awful lot of publicity you would rather avoid.